Seasoned Video Slots players will have notices that there are numerous different games that are centered around this very theme – and that is not without reason. Today we are having a closer look at yet another example of one of these games, but this is not just any game. Habanero has done an excellent job in creating the sequel to the original Queen of Queens. The gaming developer has updated the gaming experience and once again they manage to provide worldwide players with a gaming experience that goes way beyond what one would normally expect from a Video Slot. If you are not yet fully familiar with the gaming developer, Habanero then you will most likely be pleased with the fact that we have included a more thorough insight into their history later in this review. But for now, let us get going with our review of Queen of Queens II – let´s go! While playing this game you will meet plenty of the mystery of Ancient Egypt. On the reels, you will meet plenty of symbols that perfectly fits the overall theme of the game. Thus, you will find many of the special Egyptian animals, symbols, and gems that one would generally associate with the era of the Pharaohs. Besides this, you will also find a few “slightly” more special symbols that can truly help boost your balance. In this game, the Wildsymbol can be recognized as the Queen of Queens herself, wearing her beautiful golden head decorations. She has the ability to substitute all other symbols in the game. When she does this, it dramatically increases your chances of getting more and better winning combinations of symbols. Please note, that the Wildsymbol cannot substitute the games Scattersymbol. Speaking of the Scattersymbol, this can be recognized as the urn with an animal head. This symbol in itself holds a monetary value. You can win 100 if you manage to get 5 of these symbols on the reels at the same time. But what is more important is, that the Scattersymbol has the ability to offer you Free Spins. When three or more Scattersymbols appear on the reels this will trigger 8 Free Spins. During your Free Spins, 16 extra Wildsymbols can appear on reels 2, 3, 4 and 5. Another great function is, that the feature can be retriggered during your Free Spins by managing to get additional Scattersymbols on the reels. Queen of Queens II is played on 5 reels across 4 lines. This is a game that does not offer ordinary pay-lines as you know them from most other games. Instead, this game boosts a staggering 1024 different winning possibilities. This is an extremely high number that only a small handful of other games can match. 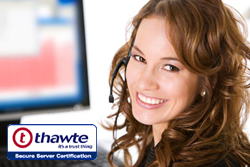 You can enjoy the fact that you do not need to spend time deciding how many active pay-lines you wish to play with. Instead, you constantly have a huge winning potential. In this game, you can choose to place a bet as low as €0,50. This means that you can play this game for quite a long time, even if you are playing on a tight budget. Should you have a more adventurous approach to playing Video Slots, then this game can truly also cater to your every wish. The highest bet you can place in this game is €125. The graphics and sounds of this game are nothing short of amazing. Everything is crystal clear and suits the theme of the game perfectly. Both your eyes and your ears are in for quite a treat, so you can start looking forward to this experience. 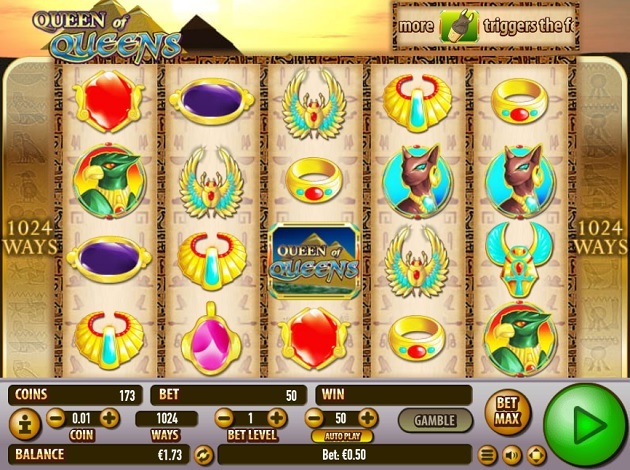 Get ready for a gaming experience beyond your wildest expectations with Queen of Queens II. You can look forward to brilliant graphics, beautiful sounds and plenty of winning potential when spinning the reels of this game. Oh, and did we forget to mention that you have the potential to win an amazing progressive Jackpot in this game! Some of the games we offer right now at Videoslots.com are Presto! and Cake Valley – two of the best examples of what Habanero offers.